The Nintendo Switch is a console firmly in the ascendency as I discussed in my console buyers guide. 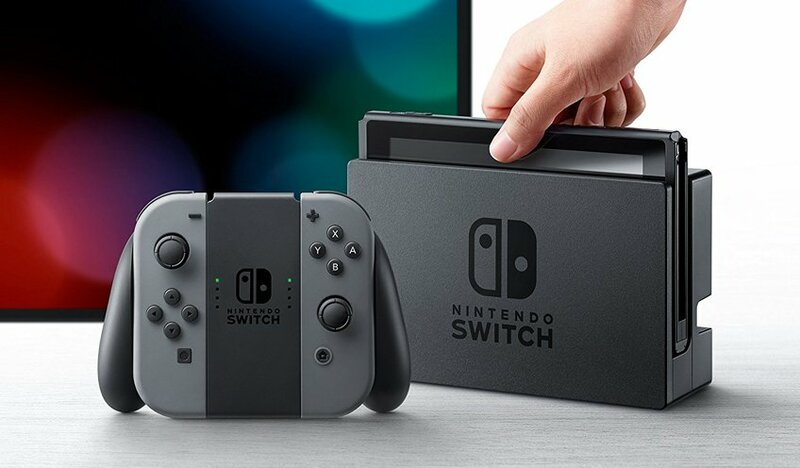 It seems Nintendo finally have a home console that can compete with the likes of Sony and Microsoft by offering something they don’t. There are more and more excellent games being created and ported over to the Nintendo Switch and if you find yourself in ownership of one during the holidays then you might want to see if any of the games are in the Black Friday sales this week. I’m trying to stick to exclusive console titles for this list and as you can imagine that means you’re going to get a lot of Mario titles on this list. The good news is that the games on this list are still very different. Although they may share the same world and some of the same characters, the mechanics and fundamental gameplay are totally opposite. It goes without saying that The Legend of Zelda: Breath of the Wild is one of the best games on Nintendo Switch and a real contender for game of the year. Fans waited long enough for this title and when they finally got their hands on it they were not disappointed. The sprawling open world is huge and has so much to do it can seem a little daunting at first. Joining Link on another adventure to save Zelda never looked as good as it does in The Legend of Zelda: Breath of the Wild. The cartoonish yet charming art style is instantly recognizable and compliments the sense of discovery Zelda games are known for. The Legend of Zelda: Breath of the Wild breaths life back into the series and is one of the reasons many people bought this console in the first place. The game showed just how much power is in the Nintendo Switch and the fact you can take it on your travels made this game all the more addictive. If you can find this game during the Black Friday sales, it’s a must buy. Of course, that’s if you haven’t already bought it. The latest Super Mario game to be released is also one of the best. Super Mario Odyssey brings everything you know and love about the series and turns it up. it’s a near perfect game full of surprises and adventure that will keep you engaged for hours on end. There’s a debate whether this game is better than Galaxies, but for me it is. It optimises everything I want in Mario game but does so with charm and style. There’s nothing quite like seeing a tiny Mario running around a real-life city, jumping off the hood of cars. If you happen to be one of these gamers who’s obsessed with collecting everything in a game then you’ve got much to do in Super Mario Odyssey. With outfits and much more to unlock, you can spend hundreds of hours in this world exploring every nook and cranny it has to offer. You might be lucky and find this game in the sales this week and if so I implore you to pick it up and see what all the fuss is about. You won’t be disappointed. ARMS is a boxing game like you’ve never played before. Not only is the ideal party game for the holidays, but it’s another stellar example of Nintendo creating a fantastic new IP. You can play ARMS on the couch with friends or online using the Joy-Con motion controllers. Throw punches and combinations to defeat your opponents. Just make sure you have the space to do it as you don’t want to be punching someone for real, I hope. I was really surprised just how deep this game is and how much strategy is involved in its combat. What looks like a simple game on the surface actually turns into something much more tactical and thought-provoking. Once you’re hooked on ARMS you won’t want to put it down. It’s easy to pick up and play with friends and is a guaranteed laugh at the end of it. Uber competitive will love taking part in what can be a tense fight. Make sure you look out for this game on Black Friday and have your motion controls at the ready. Let’s get ready to rumble. Mario + Rabbid Kingdom Battles are another game that surprised me to no end this year. As a fan of the X-COM series, I wasn’t quite sure what to expect when I first played this game. After I put my controller down I felt so satisfied and challenged in a way I didn’t get from other X-COM style games I’d played. It seems odd to combine the world of Mario and the Rabbids from Rayman, but it worked a treat here. The combat is far deeper than you could ever imagine and the game is actually quite difficult in places. Some of the mechanics are a lot simpler than that of X-COM but it plays well to the target audience. The game actively rewards those who think outside the box and try new combinations and attacks. Not only that but the world crafted by Ubisoft is charming and delightful. Mario + Rabbid Kingdom Battles brought a new take on the world of Mario and it’s one I’m thankful I gave my time too. Mario + Rabbid Kingdom Battles are the best strategy game you can play on Nintendo Switch right now so any fans of this genre should be scouring the internet for it on Black Friday. You’re probably thinking “enough with the Mario games already” but I promise you all the games on this list are well worth knowing about. Mario Kart 8 Deluxe is the definitive racing experience on Nintendo Switch right now and there are endless reasons why you should own it. Mario Kart 8 Deluxe combines the greatest Mario Kart game ever with all the versatility and performance of the Nintendo Switch – it’s a match made in heaven. With all your favorite characters and almost endless customisation options, this is the Mario Kart we’ve always wanted. The drift boosting mechanics add a level of depth to your races and the game offers plenty of modes to engage in. The all-new battle mode and 200cc trail modes are as nostalgic as it gets for players of my generation, but new players will find a lot to like here too. This is an absolute must for any Switch owners and you should pick it up in the sale this weekend. There’s only one race on Nintendo Switch and that’s with Mario Kart 8 Deluxe.